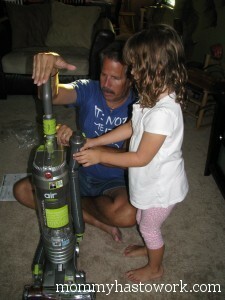 I was so excited to review the new WindTunnel Air Vacuum from Hoover! It was easy to put together out of the box. Here is Savannah helping. The vacuum we had never seemed to get the carpets cleaned and always spit dirt out the back when vacuuming out tile. The WindTunnel does a wonderful job on our carpets. I can’t believe how dirty my floors were. The WindTunnel states it has “minimize blowback or scatter” and I found this to be true! I loved using it on my tile floors as no dirt flew out the back at my feet! Good for that kitty litter in the laundry room! Look at all the dirt! The WindTunnel Air comes with a 30 foot cord which is great. No need to replug in every room. The HEPA filter is easy to remove and empty. Being bagless means I can see all the dirt. Makes me feel like I really cleaned! The handle does adjust for height which is perfect for my husband, as he is 6’2″. I did notice there was no carpet height adjuster, but none seemed to be needed. My favorite thing about the WindTunnel is it only weighs 12 pounds! Very lightweight yet powerful! Plus it has a two year warranty. I just figured out that the handle comes off to make an extension! 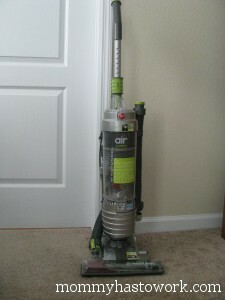 The long hose was great on the stairs, but I did need to bring the vacuum with me as the hose did not reach to the top. Oh and the vacuum can go right under the furniture! See how it goes under the furniture? Overall I love the Wind Tunnel Air Vacuum. I would recommend to anyone! Is it a 30 inch cord or 30 ft cord. That’s one thing I wish my vacuum had, a longer cord. Thank you for catching my error!! It’s 30 feet. Great review! I love Hoover. I love my windtunnel. My carpets have never been so clean. I love that it’s so lightweight, especially when you’re going up and down stairs with it! I love being able to see all the dirt the WindTunnel picks up. I don’t have enough good things to say about Hoover right now! I wonder how this would work on my hardwood floors. I love that it’s so light. Isn’t it great to have a vacuum that works awesome. I love how compact this vacuum is! 30 feet? Holy cow, that would be AWESOME. 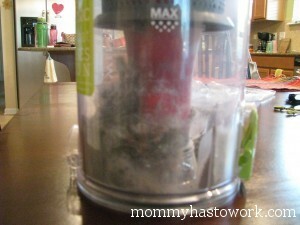 I want a bagless vacuum! Thanks for the great review! 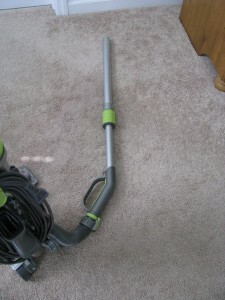 I currently have a Dyson which I love, but it doesn’t pick up like it use to, bummer. I’m definitely going to check out the WindTunnel Air, as it looks great! It looks really slender that seems like a great feature to me. 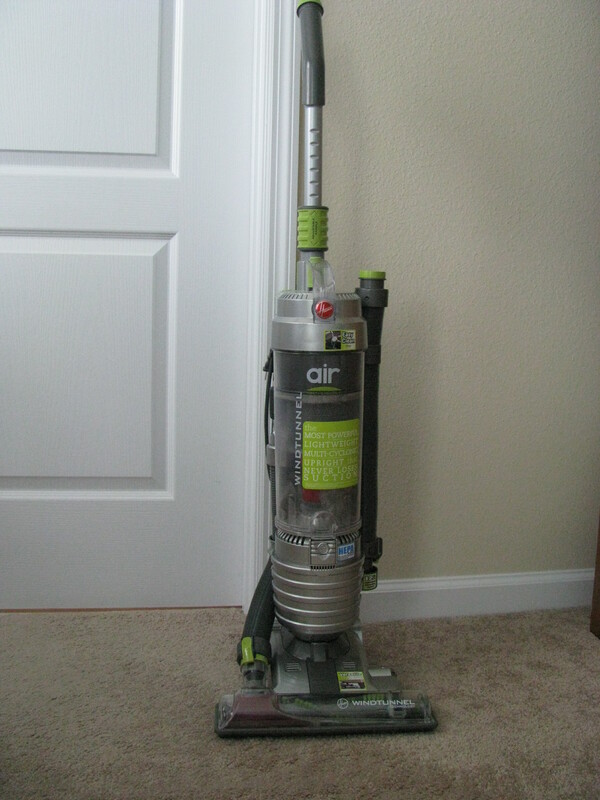 I hate the vacuum that I have right now, it’s just a cheap thing that I bought on sale. I so want one of these, everyone is raving about them! I need a new vacuum so bad, great review! Sounds like a great vacuum! I love the adjustable handle so hubs would have no excuses and a 30ft cord is a must for my carpeted staircase. I love how you can see the dirt in the canister! I’d love to try this. It looks awesome. That looks nice and lightweight. I hate heavy vacuums. Looks like a great vacuum! If I need a new one I will look into it! We need a new coupon so bad. 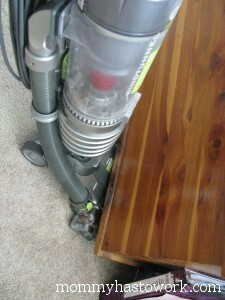 I love our vacuum like this too and it’s so light which makes it easier on my back. 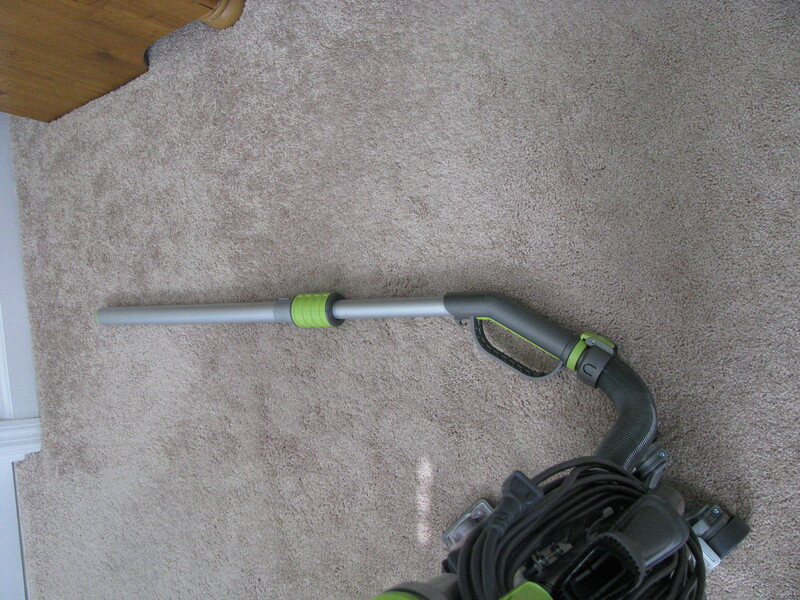 Looks like a great vacuum–I love that with the long cord, you don’t have to replug it as you move! I have this vacuum and LOVE it. It is lightweight so all my kids can use it without problems. I think this would be a great alternative to what I have now! Thanks for the information on this product. I am in the new vacuum market. Compared to the older one I have this looks so nice and slim. And I love that 30 ft cord. Thanks for the review.